Kings Island's Media Relations Department welcomes inquiries and visits from credentialed members of the news media and bloggers for the production of high-quality news features and programs about Kings Island, Soak City Water Park, Halloween Haunt, The Great Pumpkin Fest and WinterFest. 2019 storylines at Kings Island include the new Kings Mills Antique Autos and Miami River Brewhouse; the re-imagined International Sreet and the 40th anniversary season for The Beast roller coaster. Images, logos and b-roll available upon request. Click on the Media Pass Policy tab below for the list of qualifying news media personnel positions and guidelines for ticket requests. Kings Island will issue up to four (4) complimentary tickets to the news media personnel listed below who want to visit the park for a leisure visit on public operating days during the 2019 season from Opening Day through Labor Day, September 2, 2019. All requests must be submitted a minimum of three (3) business days in advance of the selected date of the visit. These passes are limited to four (4) per person for one (1) visit during the season. Only full-time news media personnel and bloggers are eligible for these passes; promotions and advertising personnel are encouraged to call their promotions contact at the park for inquiries about tickets. A valid news media oulet email address must be provided with the request. Please see the list of qualifying positions below. The Kings Island Communications Department will review all requests for complimentary tickets. All requests for media passes must be made online through the park's official Internet website by filling out and submitting the form below. No phone calls. All requests must be submitted a minimum of three (3) business days in advance of the selected date of the visit. 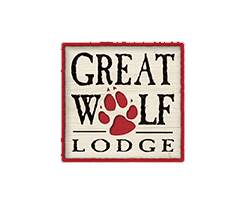 Approved requests will receive a confirmation email from the park's Communications Department and instructions on where to check in and receive your tickets. Looking for just the right words and word count to describe Kings Island? Kings Island offers thrills and family attractions for all ages, including 16 roller coasters, an award-winning kids’ area and waterpark. Call (513) 754-5700 or visitkingsisland.com. With more than 100 rides, shows and attractions, Kings Island offers the perfect combination of world-class thrills and family attractions. Guests can experience 16 roller coasters, including Mystic Timbers, voted “Best New Ride” in 2017 by Amusement Today; a 17-time, award-winning kids’ area and 33-acre water park. Call (513) 754-5700 or visitkingsisland.com. With more than 100 rides, shows and attractions, Kings Island offers the perfect combination of world-class thrills and family attractions. Guests can experience 16 thrill-inducing roller coasters, including Diamondback, the tallest and fastest roller coaster at Kings Island, and the world’s longest wooden roller coaster, The Beast! Families can spend the perfect day together in the award-winning Planet Snoopy kids’ area. Park admission includes Soak City, a 33-acre water park. Call (513) 754-5700 or www.visitkingsisland.com. With more than 100 rides, shows and attractions, Kings Island offers the perfect combination of world-class thrills and family attractions. 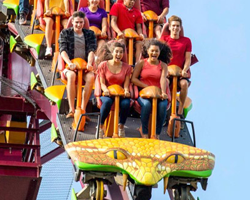 Guests can experience the park’s 16 roller coasters, including the world’s longest wooden (The Beast) and steel inverted (Banshee) roller coasters, Diamondback and Mystic Timbers, voted “Best New Ride” in 2017 by Amusement Today. Families can spend the day together in the 17-time, award-winning Planet Snoopy kids’ area. Admission to Kings Island includes Soak City Water Park, which features more than 50 water activities, including 36 water slides. Call (513) 754-5700 or visitkingsisland.com. Check out the Kings Island Blog for leads on the latest and most exciting Kings Island stories. A place where kids of all ages and their parents can really and truly play together. In the fall of 1971, Coney Island, a popular amusement park on the banks of the Ohio River in Cincinnati, closed its gates for the final time, ending an era in entertainment. The following spring, another era began when the turnstiles began spinning in Mason, Ohio at the new Kings Island Amusement Park. When the gates opened April 29, 1972, the stage was set for decades of world-class thrills, fun and family entertainment. The idea for Kings Island was conceived in 1964 when Coney Island, a popular amusement park located on the banks of the Ohio River 10 miles east of downtown Cincinnati, suffered from a major flood that submerged the park in over 14 feet of water. Flooding was nothing new for Coney Island. The park was very successful, but due to limited space there was no room for expansion. Parking was also an issue. The Wachs family who owned and operated Coney Island began to explore the possibility of relocating the park. They had no choice if they wanted to remain competitive. In 1968, following actor Fess Parker's announced plans to build a new theme park across the river in Kentucky, the need to relocate the park became much more urgent. The Wachs family had been trying for nearly five years to find a major financial partner. With time of the essence, the Wachs family in July of 1969, sold their much beloved park to the Taft Broadcasting Company for $6.5 million. Taft Broadcasting had been looking for a way to market and promote its newly acquired Hanna-Barbera division, and the amusement park industry was the perfect place. In the fall of 1969, Taft Broadcasting purchased 1,600 acres of land in Warren County, Ohio for $3.2 million for the purpose of building one of the finest amusement/theme parks in the country, Kings Island! The construction of Kings Island began June 15, 1970. A public contest was held to name the new park. Kings Island emerged as the most popular choice for its recognition of the town where the park was being built, Kings Mills, as well as its predecessor, Coney Island. Many of Coney Island's rides were transported and installed at Kings Island within three months of Coney Island closing its gates on September 6, 1971, including: The Tumblebug, Scrambler, Flying Scooters, Spider, Dodgem, Turnkpike Cars, Sky Ride and Rotor. There had been lengthy discussions about relocating the popular Shooting Star roller coaster to Kings Island, but the decision was made to build a new, bigger, faster and better roller coaster, The Racer. The Eiffel Tower, originally planned for Coney Island and a one-third replica of the original Eiffel Tower in Paris, France, became the centerpiece of the new park. After nearly two years of construction, the park was ready to open for families and thrill-seekers in April, 1972. Kings Island opened its gates April 29, 1972. The star attractions early on were the twin-track Racer roller coaster, the Enchanted Voyage dark ride, and the Eiffel Tower. Kings Island gained national attention when two well-known ABC sitcoms filmed episodes at the park: The Partridge Family in 1972, and The Brady Bunch in 1973. In 1977, the Screamin' Demon debuted as the first forward and then backward-looping roller coaster in the United States. People came from coast-to-coast to ride it. But in 1979, the park unveiled a ride that would forever change the world ... well, at least the roller coaster world when Kings Island unleashed The Beast. It was the biggest, baddest, longest, fastest wooden roller coaster in the world. The ride still stands today as the longest wooden roller coaster in the world at 7,400 feet. The decade of the 80's featured a series of world firsts at Kings Island, and the first ownership change in the park's history. In 1981, the park introduced The Bat, which was the world's first suspended roller coaster. 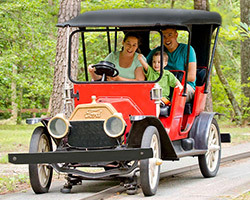 The ride's history was brief due to mechanical issues -- just two short years of operation -- but it was the first step in the fourth generation of roller coasters. In 1982, Kings Island again made history when one side of the Racer was turned around backwards, making it the world's first full-length, backwards traveling roller coaster. Later that year, Kings Island became the first amusement/theme park to hold a winter event when Winterfest was introduced. King Cobra debuted in 1984. It was the first roller coaster in the world designed from the ground-up as a stand-up roller coaster. The 1984 season also saw the Taft Broadcasting Company sell its theme park division to Kings Entertainment Company (KECO), a company formed by senior executives and general managers of Taft's Amusement Park division. The Vortex was added in 1987 and was the first roller coaster in the world to feature six inversions. Before the end of the 1987 season, Kings Island was sold for the second time in three years when American Financial Corporation purchased Kings Island and two other parks (Carowinds and Kings Dominion) and a 20-percent stake in Canada's Wonderland for $150 million. While new and innovative roller coasters dominated the headlines for most of the decade, a new section of the park was added in 1989 when WaterWorks made its debut as a family waterpark. Kings Island and the rest of the parks in the chain were purchased by Paramount Communications, Inc. for $400 million in 1992. Paramount formed a new division which was known as Paramount Parks. That same year, Paramount Parks began adding its themes from movies released by the studio, like Top Gun and Face/Off. Viacom entered the picture in 1994 and purchased Paramount Communications, Inc., which opened the door for Nickelodeon themes and characters to be used in the park. In 1993, the Top Gun roller coaster opened as the first new ride in the Paramount era. Three years later, in 1996, Kings Island unveiled the world's first Linear Induction Motor (LIM) launch roller coaster, The Outer Limits: Flight of Fear. In 1997, Kings Island celebrated its 25th Anniversary season. The Hanna-Barbera kids' area received a major makeover in 1998. Drop Zone (now Drop Tower) and Face/Off (now Invertigo) were added in 1999 in the newly dubbed Action Zone area of the park. Closing out the decade of the 90's was a major announcement on July 8, 1999, when Kings Island revealed plans to build the Son of Beast roller coaster. The new ride claimed several world records, including the tallest, fastest and only looping wooden roller coaster. In addition to Son of Beast, the 2000 season saw the debut of the park's first Halloween event, FearFest. Parts of Rivertown and Hanna-Barbera Land were transformed into Nickelodeon Central in 2001. Highlighting the new attractions in Nickelodeon was the world's first junior inverted roller coaster, Runaway Reptar (now Flying Ace Aerial Chase). 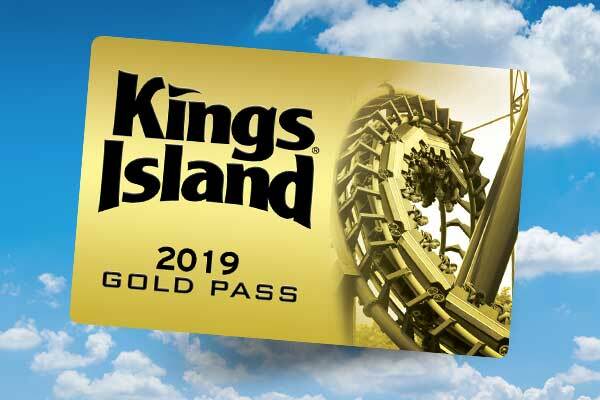 The 2001 season began a current run of 11 consecutive years Kings Island has received the prestigious Golden Ticket Award for Best Kids' Area in the World. A major new attraction opened in 2002 in Rivertown, Tomb Raider: The Ride. Another world's first was added in 2003 when the park introduced Delirium, a Giant Frisbee ride. The Beast celebrated its 25th Annivesary season in 2004. A refurbished and expanded waterpark also opened that season, Boomerang Bay. The Italian Job: Stunt Track roller coaster (now Backlot Stunt Coaster) debuted in 2005. On June 30, 2006, Kings Island and the four other Paramount Parks were sold to Cedar Fair Entertainment Company for $1.25 billion. The park celebrated its 35th anniversary and introduced Halloween Haunt in 2007. In 2009, the park unveiled the tallest and fastest roller coaster to ever strike Kings Island with Diamondback. The world's best kids' area received a fresh new look with a timeless classic in 2010 with Planet Snoopy. The next decade of world-class thrills, fun and family entertainment opened with a bang in 2011 with the addition of WindSeeker, a 301-foot-tall tower swing ride, and the world's largest animatronic dinosaur park, Dinosaurs Alive! With 15 thrill-inducing roller coasters, Soak City Waterpark, a 13-time, award-winning kids' area, high-energy live stage shows, classic family rides, and most unique Halloween events around, today's Kings Island remains one of the finest amusement/theme parks in the world.